WordPress powers millions of websites around the world. This popular site builder and content management system is free to download and install in hosting environments of all kinds, but for users looking to take full advantage of its many features and functions, hosting packages dedicated exclusively to WordPress can be an efficient, secure alternative to standard web hosting options. Because WordPress is a free and open source platform that anyone can use, it is included among the many site-building platforms and applications offered in general web hosting packages of all kinds. General web hosting companies also offer customer support for a variety of other site builders, and the support they provide must be able to accommodate issues related to all of these. Basic web hosting is typically some form of shared hosting, in which multiple sites, often in the thousands, share space on a single server owned and maintained by the hosting provider. In this environment, a WordPress site is simply one of many types of sites on that shared server. All sites on that server must draw on the server’s common resources, such as memory and bandwidth. Providers of this kind of web hosting plans are responsible for maintaining servers, which includes installing general security features and keeping them updated. Because so many sites co-exist in that situation, they can become vulnerable to malware and other security issues connected to neighboring sites. As sites evolve, they may outgrow the limitations of their basic web hosting plan, which can limit the size and scope of sites being hosted and terminate their hosting account if they become too large or too busy for the shared server’s resources to accommodate. In that kind of situation, site owners may turn to more customizable and scalable hosting options. These can include virtual private server (VPS) hosting – a hybrid of basic shared web hosting and dedicated web hosting. VPS hosting packages use virtualization technology to partition a shared server into separate, dedicated spaces so that each site in a VPS environment can be independently installed and managed with its own allotment of server resources. For large, high traffic sites, or those with complex security needs, dedicated hosting packages provide each user with a single, dedicated server that is not shared with other sites. This strategy makes sure all resources are allotted to a single site and users have the freedom to manage the site in any way they wish, with round the clock technical support and managed service packages available as well. All these hosting options allow users to install and run a WordPress site if they wish, but the services and support they provide are not designed to accommodate WordPress-specific issues related to performance and security. WordPress hosting in all its forms can provide customer support and services uniquely optimized for the platform. While general web hosting providers include support for WordPress as one of many options available to users, that support is not tailored to the specific features of the WordPress platform, and it may not offer the solutions that dedicated users of WordPress need in order to maximize performance. WordPress hosting options take into account the unique features of WordPress and design hosting environments accordingly, at varying levels of service and pricing. WordPress hosting options cover the same spectrum of hosting solutions as general web hosting services do, but targeted only to WordPress, so that WordPress users at every stage of a site’s development can find a hosting plan to fit evolving needs. Many general hosting providers offer a WordPress-only option along with their basic service plans, though not all of them provide equivalent support for the platform. These plans typically provide for shared space on a server dedicated specifically to WordPress sites, so that server resources and software are configured only for WordPress. In this kind of environment, fewer sites can be hosted on a single server so that server resources can be allocated with greater efficiency. That also allows for more stability in the hosting environment, since it is less likely that a surge in traffic on one site will cause downtime and slowdowns on other nearby sites on the server. Hosting companies offering VPS hosting either as part of general hosting or as a dedicated server may also include a WordPress hosting option. 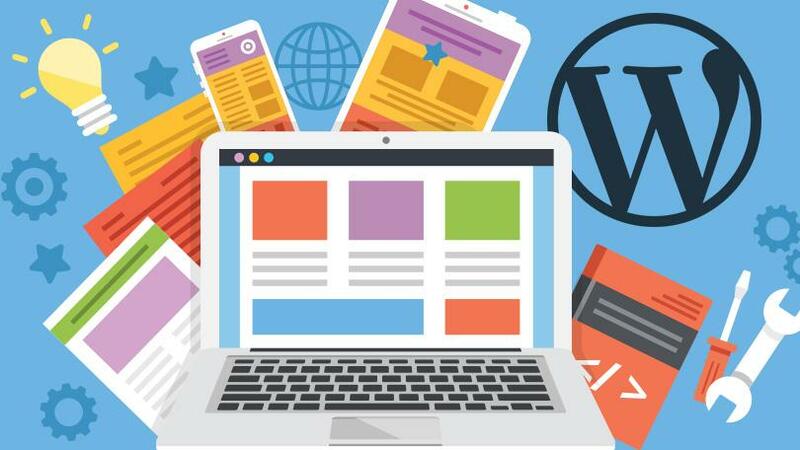 In this kind of situation, WordPress sites can share space on a virtually partitioned server dedicated to supporting the platform, which allows users the control and scalability of VPS hosting with optimization for the specific features and demands of WordPress. Users can opt for self-managed plans with the support of the host’s WordPress trained technical staff or a variety of managed plans that leave some or all management functions to the provider. Dedicated hosting providers may also offer a WordPress hosting option, with single-client servers that are optimized to run WordPress more efficiently and securely. Dedicated hosting packages can range from self-managed to fully managed options, including support for all WordPress related issues provided by technical support staff with expertise specifically in troubleshooting platform-related issues. In all its forms, WordPress hosting can support security features designed to address vulnerabilities that are unique to WordPress. Because hosting providers know exactly what platform is being used for all sites on the server, it is easier and faster to install and upgrade security features that provide maximum protection, both globally and for individual WordPress installs. With just one platform to manage, support staff and customer representatives can provide in-depth answers and solutions for WordPress related problems, without the need to be reasonably well versed in different platforms and services. As its popularity attests, WordPress was designed for users of all kinds, from skilled developers to those with little or no experience. It can be installed in just about every hosting environment, and, for many sites, especially smaller, low traffic ones, its basic features like plugins and an easy control panel can be managed within all those general hosting models. For WordPress users who want to utilize the full potential of WordPress, hosting packages dedicated to the platform can help these sites to run more efficiently and elegantly. Because it can provide more flexibility for customizing and extending the features of WordPress, this kind of hosting in all its forms can also appeal to users with WordPress developer experience. However, with managed WordPress hosting, even users without that kind of expertise can get the full functionality of WordPress in a secure, flexible environment. WordPress-specific hosting plans are typically more expensive than general web hosting services that include WordPress as an option, but these solutions can offer more of the support and security users want in order to get the most out of WordPress. For users of all levels, both general and WordPress focused web hosting can make the features and functions of the world’s most popular site building platform available to anyone, for any kind of site.